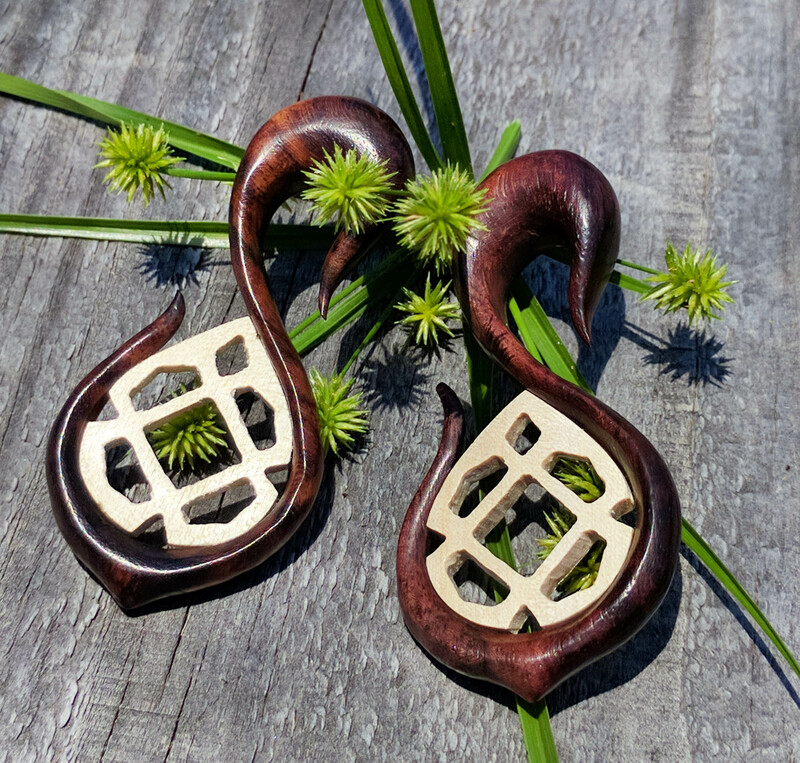 These gauged hook earrings have a dark rich gradient of black and brown, which is characteristic of sono wood, and a light-weight and color of crocodile wood. 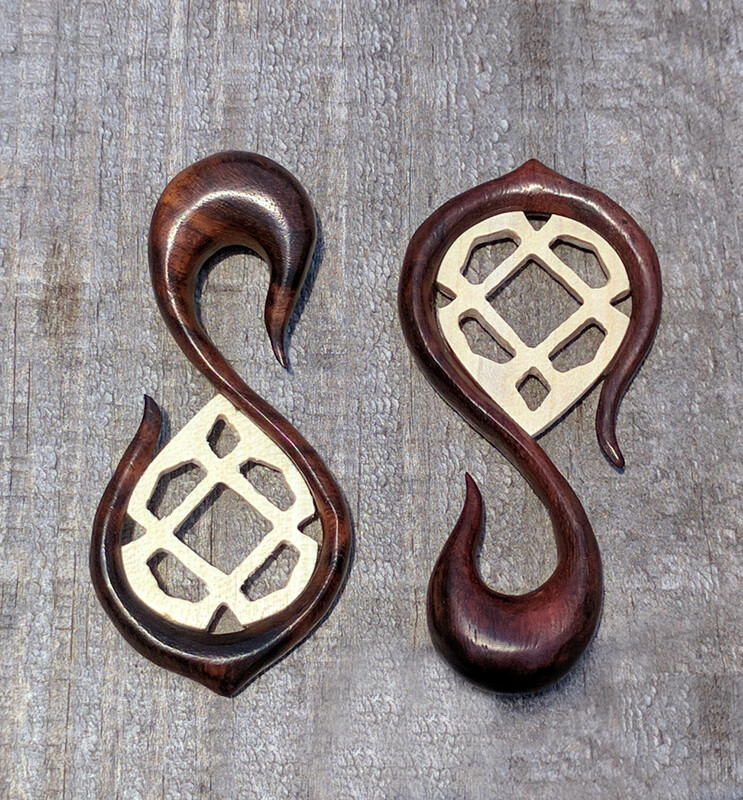 Crocodile wood makes a great material for carving plugs due to the fact that it's extremely lightweight and also has great contrast to the sono wood. The crocodile wood inlay has a cutout diamond lattice design. This is one of our Bandaru Organics Design Lab-Artist Creations that has come to life! 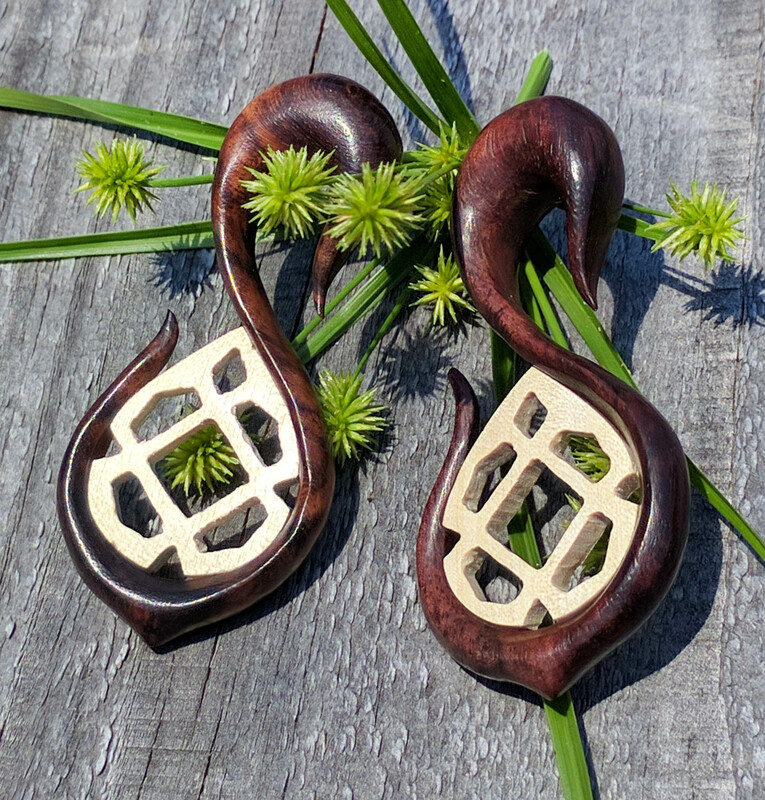 As with all of our gauged earrings we try to carry most of the popular gauge sizes, but if you don't see your size listed please feel free to contact us or check back later since we're constantly restocking or adding new sizes and styles to our line.